GDPR (General Data Protection Regulation) gives you the right to data portability. This means you need to be able to get all your data from us and other companies easily, at any time. After all, it’s your data, right? This article explains how to get your data from Tars Chatbots. We’ve given you the ability to download all the data collected via your bots. Open the chatbot whose data you need to download. 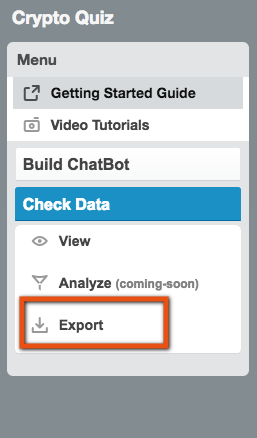 Now click on "Check Data" section in your left sidebar and then select "Export" option. 3. 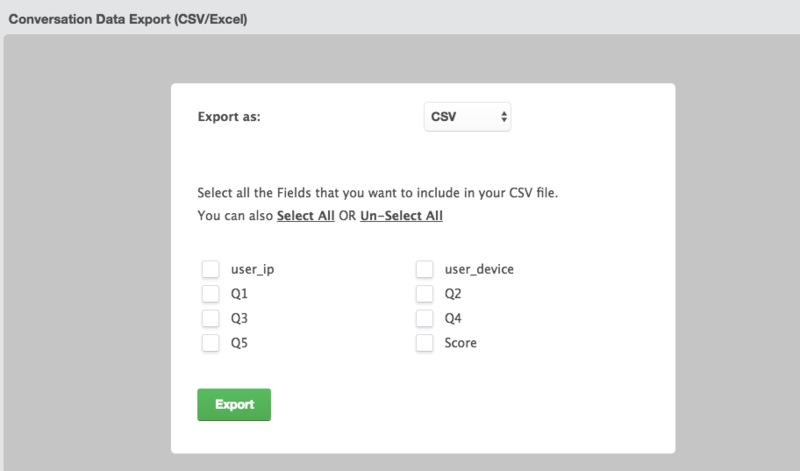 Once you click on the Export option, you will see a screen like this where you can download all the responses in CSV format. You can also select what all fields you would like to download at one go. That's it and you will have all the data for your bot ready in a CSV file.